I was reading a magazine yesterday, and here's a quote from a designer about home decorating: "Give yourself permission to make beautiful little arrangements in your home." This is his decorating advice for us. I don't even know what to do with that sentence. It is a garbage sentence. It is less than meaningless. Who would construct an idea in that way? Are there people who feel guilty about what they see as a perverse compulsion to create "beautiful little arrangements?" Or who don't feel they have the authority to decorate their homes? Or who have great decorating ideas, but there's been something holding them back, and that something is a self-proclaimed designer's blessing of their efforts? Stupid magazine-speak, making us all dumber with every article. I guess I'm finally going to read The Hunger Games. I've avoided it in case it's another Twilight, but it seems like maybe everything's going to be okay. Is it? Warn me if I'm going to regret it and I'll go back to Is Everyone Hanging Out Without Me?. We've been reading the Harry Potter series this summer, and it inspired us to have a Start-of-Term feast last night. I had a hard time deciding which cuisine to prepare, but in the end went with American, since that's where we live and all. We had fried chicken, corn on the cob, sauteed turnip greens, and milkshakes for dessert. We'll go British for our Christmas feast because I love me some Yorkshire pud. In other news, today was the first day of school and with my sweet, sweet freedom I did a batch of dishes, folded a few towels, watered the tomatoes, vacuumed and washed the car, bought painting supplies from the hardware store, ate lunch, and painted a couple of cabinet doors. You might be thinking, "Layne! Who said you could do all that?" The answer is: I did. I gave myself permission, in fact. I think I might give myself permission to rearrange the furniture sometime, too, but I don't want to get too uppity. Red ribbon. RED. And to be frank, it's better than I deserve. I tasted the other pie I made with the same filling, and it was meh. And that's being generous. Probably the worst pie I've ever made. But I was not alone--there were a handful of other pies, and the only one that got a blue ribbon was a gorgeous pecan pie that looked perfect. I would like to have snuck a taste of it, but was not brave enough. My honey got a blue ribbon, Emmett's pickles got a red, Grant's tomatoes got a red, the chickens got one red and one white (the pooping one got the white), and Ike's rabbit, the pee-stained rabbit with its nose bitten off, got a blue ribbon. Que sorpresa! I wonder if it was a pity vote. Sugar is a nice-enough looking rabbit, but blue? When beautiful Biting Martha only got a white last year? I do not understand the mind of the rabbit judge. While we were walking around yesterday Emmett said, "Sometimes I feel bad that we aren't real farmers." That is such an uncharacteristic thing for him--especially him--to say. He's my least agriculturally-minded child. But he says he wants to show a goat next year. We've already opened Pandora's box by entering rabbits and chickens because we have to go out there every day to check their food and water, so how much worse would it be to babysit a goat as well? Do you think a roadside pie stand has a chance to be successful? Argue for or against in the comments. It's fair week, and this year we entered pickles, tomatoes, peach pie, honey, a rabbit, and two chickens, one of which shat explosively and profusely at the entrance of her cage as we put her in, so much that it dripped off the table onto the floor of the small animal barn. Just being our classy selves as always. It was kind of crazy throwing things together at the last minute--I hadn't planned to enter a pie, for example--but the fair's a lot more fun when you have things of your own to look at. I have a bad feeling about the pie. I think it's going to be runny. Oh, I'm going to be so humiliated when it gets a white ribbon! What if I don't even place? Ugh, it's too horrible to contemplate. I spent a couple of hours last night rubbing mink oil into my boots and thinking about the difficulty I have communicating and connecting with people. Group gatherings are always a disappointment, because I always say rude things. I think it's because I am an insecure sociopath, if such a thing exists. This might be a character flaw. The boots turned out nice, though. We have eaten almost 1 1/2 bushels of peaches since last week. Our consumption is definitely at an all-time high, which gives me immense pleasure. Nobody can glut like us! The basement dormitory experiment is going well. The couches are gone, the TV is gone, the mess is gone. The boys ripped off all the disgusting faux-brick wallpaper, so the scariness has decreased somewhat. It's the best that room has ever looked. The boys can be together like they want, but with more space so they don't fight as much. And since they're not using their former bedroom anymore, we can use it for storage. One of these days we're going to be grownups. We decided to go to Mexico this fall. The GPNW (Great Pacific Northwest) is going to be next summer, and logistically it looks like Port Townsend, so hopefully Tori will have mercy on us and share some good ideas of what to do while we're there. I think there's an aquarium there, and aquariums are always a good time. The one in Seaside has those crazy seals that basically bully people into giving them fish all day long. But like I said, we're going to Mexico, so I went to the library and checked out all of the Spanish instruction CDs and a fair number of books, in hopes that I will be able to regain my rudimentary Spanish skills before we go. In the CD I'm listening to now the example speaker must be from Spain, because he has that lisp when he speaks. It offends my ear because I learned to speak Mexican Spanish, but I guess you make do with what you have, even if it does sound weak and babyish. And boy, the example guy has gotten himself into trouble! One minute he's asking where he can find a pub and saying he wants to go to a party, and the next he's wanting to find a policeman and report that he's been raped! How did it all go so pear-shaped so quickly? If he could go back in time, would he still want to go to that party? What happened at that party? It's funny how I'm talking about two vacations in one post, like we're well-heeled world travelers or somesuch. Really it is all possible because once upon a time John's singing group was paid in time shares instead of money. The time shares are usually in the general vicinity of the cities one would like to visit, not actually in the cities themselves. They're like the Miss Congeniality of time shares. But let's not look a gift horse in the mouth, right? I don't think I'm alone in saying that a peach tastes better when the skin has been pulled off vs. pared off with a knife. It's just true. I bought my first half-bushel of peaches from my enabler Sumida's two days ago and the box is nearly empty. I wish, I wish that all of you could taste the perfection of a Brigham City peach--they are peerless. Perhaps you remember that when John and I went to Chez Panisse and had the best meal of our lives, all that kept it from being flawless were the sliced peaches in the sorbet. How could they not disappoint when compared to a Canadian Harmony in its juicy, flavorful prime? 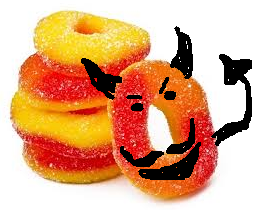 Speaking of which, I have to make sure you all know that gummy peaches are an atrocious abomination, an offense that will bring down heavenly judgment upon us. A beloved story from our family history is of a fight that erupted over pancakes and chokecherry syrup, but I had only ever heard of chokecherry syrup, chokecherries not exactly being thick on the ground. But this year I determined that I would find chokecherries and make this syrup and find out what all the hoopla was about. I looked everywhere for a chokecherry bush/tree with no luck, but then when I had almost given up hope, I found a big one two blocks from my house. It leans over the fence of the house where it's planted, and there are abundant thick clusters of deep purple chokecherries on it. I surreptitiously collected some and washed them and boiled them and smashed them and mixed the juice with the amount of sugar the recipe said I should, which was too much sugar, then I added some fresh lemon juice and water and vanilla and then finally had some syrup, which we had on aebleskivers for dinner the other night. Here is my verdict: I do not care for fruity syrups, and would never ever choose them over maple syrup, but the chokecherry syrup was quite good, good enough that I might choose it over maple now and then. It pleases me. The other day there was a tremendous sale on certain colors of a boot that I've had my eye on, and I ordered three pairs. They were half price or less, how could I not? Of course I won't keep them all, but maybe I will, because when else am I going to find a deal like that? You may argue that if it happened once it can happen again, but do I really want to take that chance? I guess it would be weird to have three different colors of the same boot. I can probably work my way through it, though. The news out of Egypt is depressing. This is where I feared it would go back when the Arab Spring first started, but maybe that's because I'm a pessimist. I assume that any given branch of a government is just lying in wait for an opportunity to seize power and start the blessed work of oppression. Are girls more whiny than boys, or does the higher pitch of their voices just make them seem more whiny? This is an area ripe for research. More depressing/expected news: the scienticians are saying that sugar is toxic even in "safe" amounts. Have you noticed that the first day you use a new deodorant or scented lotion that you smell yourself all day? I am in Imari for the first time in a while today, because I unabashedly love Avon lotion so much and am secretly pleased that I smell a little bit like an old lady, and I am digging my fragrance. Sure I'm an old lady, but I'm a sexxxay old lady. The boys told us that they like sleeping on couch cushions out in the downstairs "family room" like transients (I added the "like transients" part), so I guess what we'll do is turn that horrible bedroom into a storage room and get rid of the TV and furniture and all the other crap in the family room and let them have a big dormitory. Why not? I dated a guy in high school who shared a bedroom with his twin brother and their younger brother, and they loved it and were the best of friends. Sure they fought sometimes, and once they kicked a hole through the wall, but they had sheetrock and we have lath and plaster. If one of my boys kicks a hole in a lath and plaster wall we'll monetize that in a hurry and put him in the circus as the Amazing Mule Boy. Ladies and gents, I have finally seen a rattlesnake in its natural habitat. It was a trip. Not too much of a big boy, just a 3-4 foot long one, with 9 rattles. We were at YW camp, so it paved the way for some delightful jokes about beguiling serpents. Oh, those serpents, with their sneaky, fruit-shilling ways! If you had to choose, which do you think the Forbidden Fruit was? Last night we went out to separate the goats for the night, and I picked up Minerva, and then my hands smelled like I had picked up some peed-in pants. THANKS A LOT, MINERVA. Also I got a reply from ADGA, and wouldn't you know it, there was an error on my registration papers and I have to resubmit them. I don't think there has been a single year in which I have not had to submit my goat registration papers numerous times. It's a real blow to my self-confidence, since I used to think my reading comprehension was pretty stellar. I think I found a chokecherry tree, but I'm a little nervous about just grabbing fruit and making syrup out of it. The internet corroborates my identification, but the internet is always leading people astray. You know it and I know it. What if I make a virulent poison and kill all my loved ones and myself with it? Sad. Will I get to go to heaven with them, or will I be bounced for aggravated stupidity manslaughter? They'll be all, "Layne. You know we can't let you in here. You killed your family." And I'll whine, "But it was an accident!" And they'll say, "Yeah . . . we can't really let stupid people in here either. We have our image to protect." And then I'll feel sad and they'll send me back to earth as an otter, which is what I wanted all along. In closing, do you recommend Lake Chelan or Port Townsend for a family vacation?